No matter how large your dog, we definitely have a leash you will love. 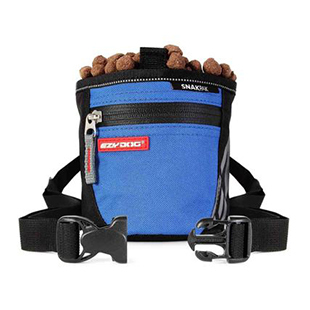 EzyDog uses the highest grade materials for strong and reliable leashes that are comfortable to hold onto. So no matter how large your dog we are sure to have a leash for you. The Cujo Leash is EzyDog’s iconic waterski handle leash with polypropylene rope and a bungee in the center. It is the original shock absorbing leash. This leash was built to control big strong dogs. The pyramid handle ensures that your hand will not be squeezed. You will have the leverage you need to securely hold on to your dog. The soft EVA molded grip ensures a comfortable feel throughout your walk. The 25 inch length leash ensures your large dog stays close to you where you have the most control. The Zero Shock Leash is the next generation of shock absorbing leashes. The Zero Shock builds on the ingenuity of the Cujo with a look of a more traditional leash. The soft neoprene loop handle is a pleasure to hold onto. The Zero Shock Technology built into the leash creates a soft cushion between you and your dog. This takes stress off of both you and your dog by lessening the impact when your dog pulls. The 48 inch version features a traffic control handle which gives you up close control when you need it. The Mongrel and Neo Mongrel Leashes are 12 inch leashes that keep your large dog positioned next to you for total control. 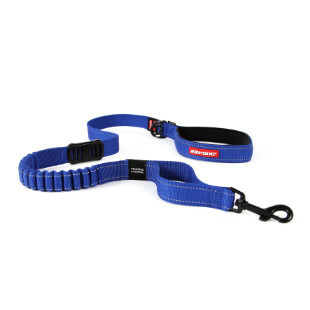 Shock absorbing extensions are available for both of these leashes if you do want some additional length. With so many choices of leashes for your large dog, we are confident that you will find one that fits your needs. Daily walks should be fun and full of comfort and control. That is where EzyDog leashes can provide the most benefit for your large dog.